If you only have time for one Christmas market while in Stockholm, definitely make it the magical Gamla Stan Christmas market in the old city center (see my review here). But if you have time to squeeze in a second Christmas market, we recommend you add Stockholm’s festive Kungstradgården Christmas market to your itinerary. The Kungstradgården Christmas market is located in a wide open space in a busy shopping area, flanked at one end by a large ice skating rink. If you go during the work day, you’ll have the market to yourself like we did. 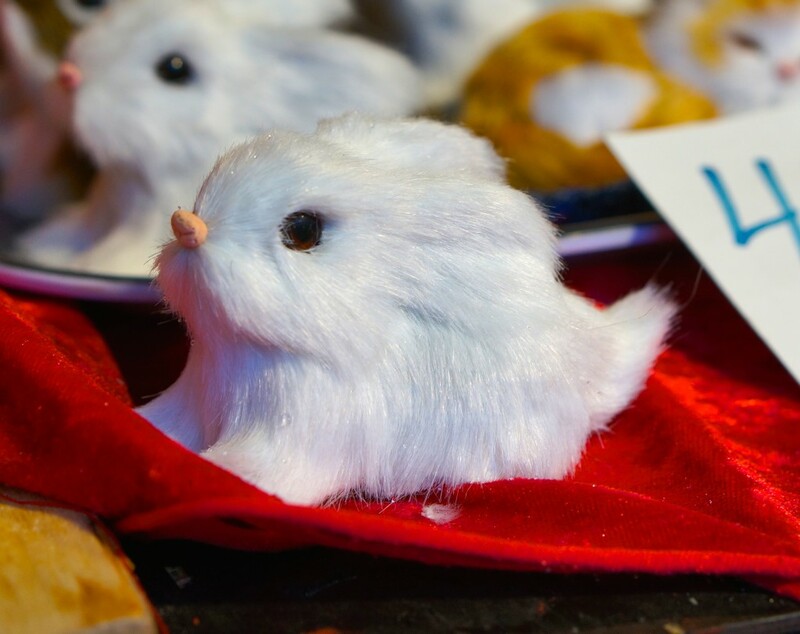 What can you expect to find at the Kungstradgården Christmas market? 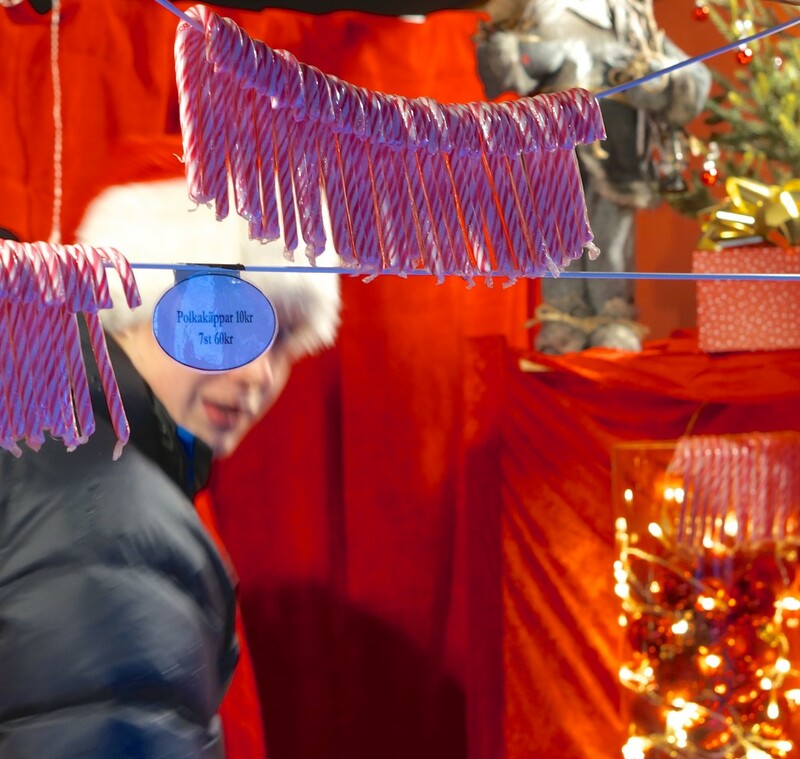 A vendor at work at the Kungstradgården Christmas market. I regret not bringing this sweet little bunny back home with me. 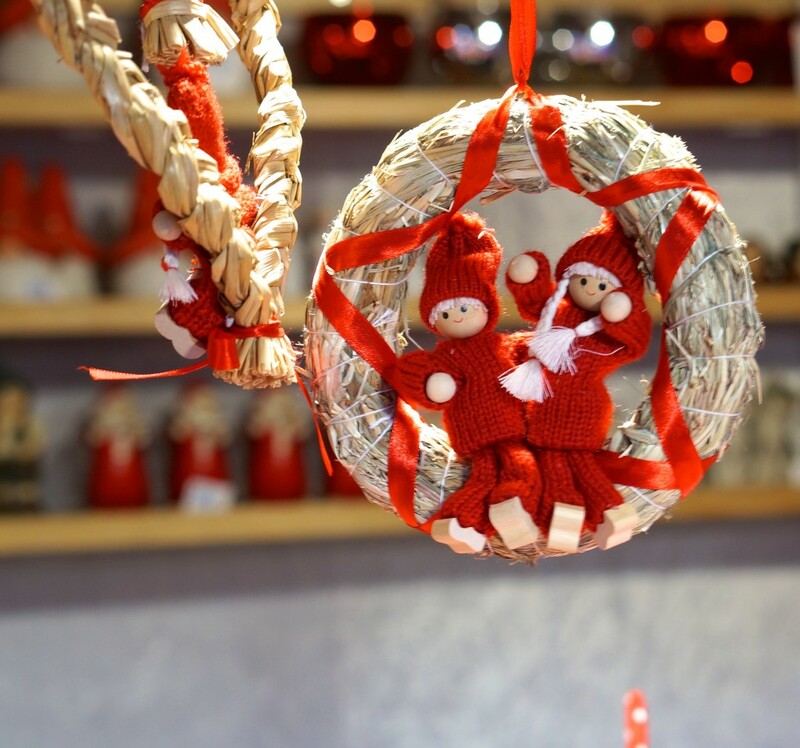 It didn’t take long after arriving in Stockholm to realize that straw is a “thing” in Sweden– especially as a traditional material for handcrafted Christmas ornaments. Embroidered necklaces, made by a local Swedish artisan. 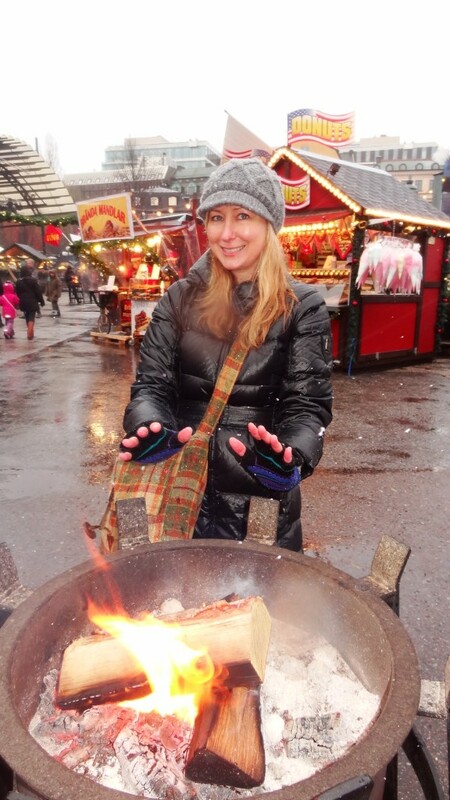 It was so freezing cold when we visited the Kungstradgården Christmas market that removing gloves, even for a moment, required serious fortitude. But we loved this market vendor’s jewelery selection so much that we each braved the elements and tried on a silver ring designed with traditional Swedish hearts. These Swedish rings (about $60 US) did make the trip home with us. I was too cold to take my gloves off to try these lotions at Stockholm’s Kungstradgården Christmas market. Soaps packaged in festive red and green wrappings. These creamy lotions, handmade in the nearby countryside, smelled divine. A chocolate covered marzipan pig with an apple in is mouth is a classic Swedish edible decoration. 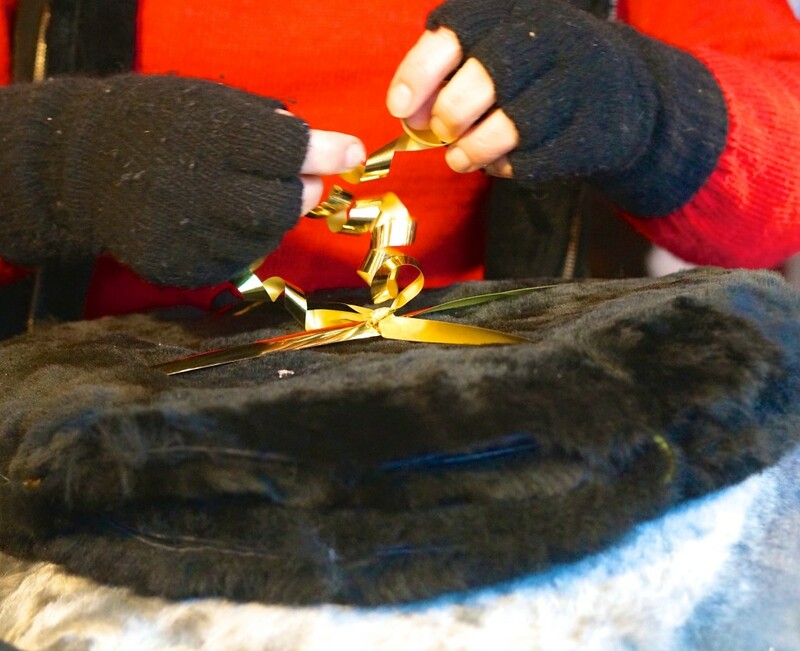 A vendor at the Kungstradgården Christmas market carefully ties a bow around these furry handwarmers. Faux fur but still warm hats at the Kungstradgården Christmas market. Loosely knit blankets at Stockholm’s Kungstradgården Christmas market. When you visit a destination that gets as cold as Stockholm does, you can be certain its residents know how to dress warmly. 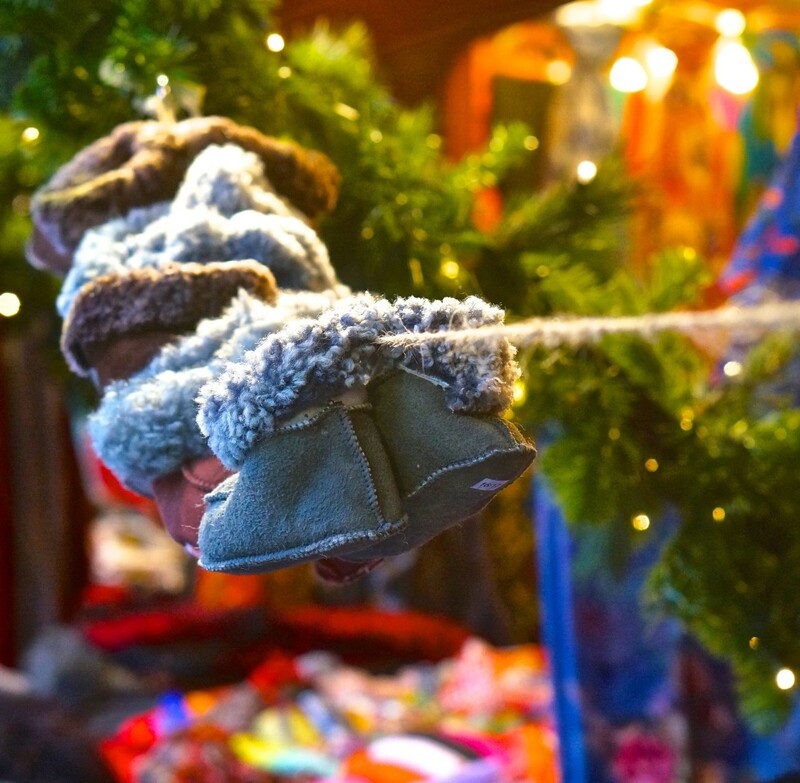 Furry hats, gloves, booties and sweaters were all in ample supply at the Kungstradgården Christmas market. We saw a wide selection of locally produced cheeses and all sort of meats for sampling (including a local specialty, smoked reindeer). Glogg is enjoyed best with spicy cookie. Just when you think you can’t take any more of the cold, you spot the glogg stand. Throw a few of these back and you’ll be toasty in no time. Our glogg here came with a bonus– a paper-thin, Swedish pepparkakour cookie (somewhat similar to gingersnaps, but much more addictive). There were no safety grates or warnings for children here– guess the Swedes know better than to set themselves on fire. Or if the glogg isn’t cutting it, warm up in front of the open fire pits at the edge of the market. These fire pits are a double edged sword though– in subfreezing weather they feel like heaven when you have your hands directly over the flame. But move away (as you inevitably must) and be prepared to somehow feel even colder than you did before. Next time, I’m hunting down those battery operated gloves before I go. 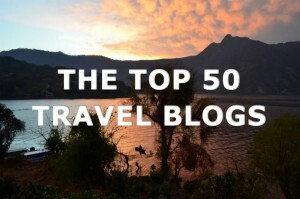 Have you been to chilly Stockholm in the winter? Tell us about your favorite Christmas markets! 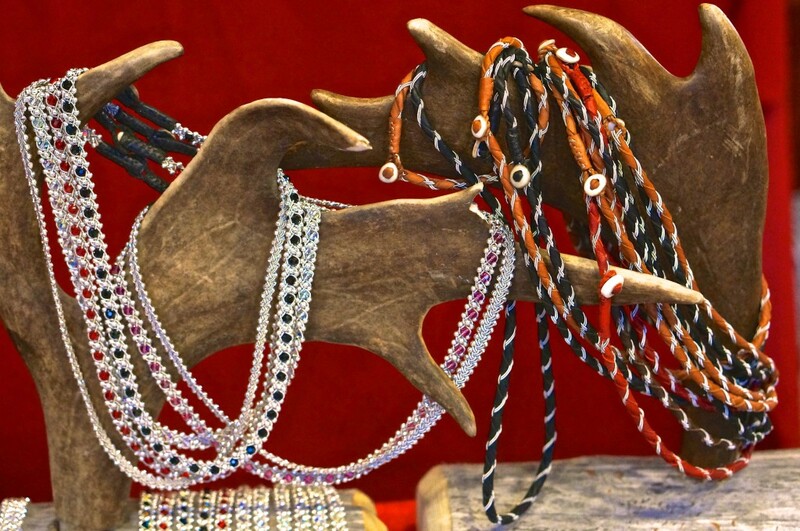 What to Buy: Silver jewelry in classic Swedish designs, handmade lotions, sweets, hats, and of course Swedish Christmas ornaments. 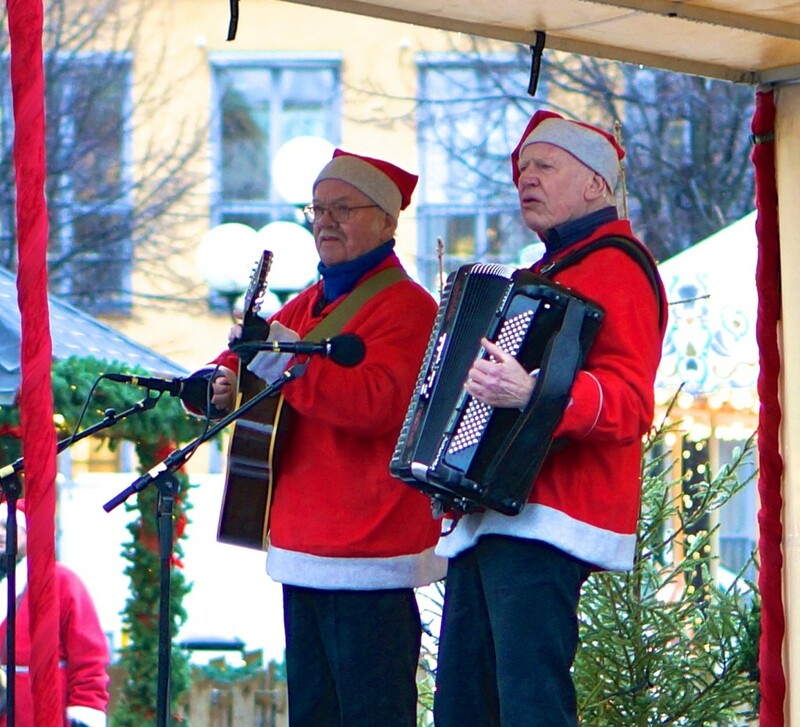 Where to Get it: Kungstradgården Christmas market, Open November 28- December 22, 2014. Hours: 11 am-6 pm, daily. What to Know: Did I mention it’s cold in Stockholm in December? Dress appropriately. I know I wish I’d bought more rings but it was sooo cold! !